Line free, wrinkle free. Walk-in Wednesdays. 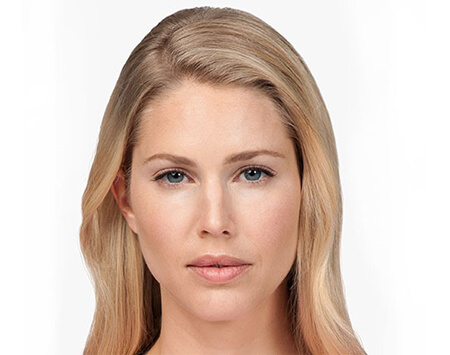 No appointment needed for BOTOX® at Ageless Aesthetics Medispa on any Wednesday. Yes, you no longer need to wait for a BOTOX® or Dysport® Party! You can have your own party right here at Ageless Aesthetics Medispa! Walk in any Wednesday from 9am to 6:45pm to Ageless Aesthetics Medispa in Ashland, KY and receive BOTOX® or Dysport® for $10 per unit! We work hard to make you comfortable and knowledgeable about your BOTOX® and Dysport® Treatment. That is one reason why Ageless Aesthetics MediSpa is the #1 Injector of BOTOX®, Dysport® & Facial Fillers in the Ashland, KY, Portsmouth, OH, and Huntington, WV Tri-State Area. It takes only a few minutes for our nurses in Ashland, Kentucky to administer BOTOX® Cosmetic treatment, but the resulting wrinkle reduction lasts for months. For these reasons, it is one of the most sought after non-surgical procedure that our MediSpa offers. BOTOX® Cosmetic is the trade name for a purified protein that, when injected under the skin in very small doses, is highly successful in diminishing horizontal forehead creases, crow's feet around the eyes, and vertical frown lines between the eyes. Patients often combine their BOTOX® Cosmetic procedure with facial fillers or laser skin tightening for a more fully rejuvenated face. 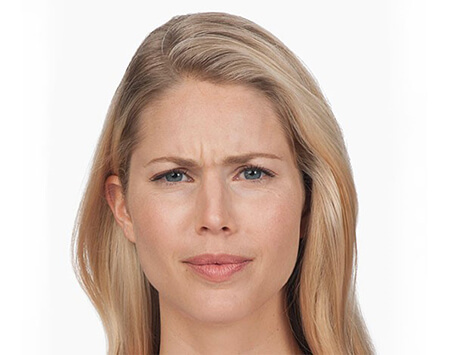 After years of squinting, laughing, frowning, smoking, and worrying, the skin around the eyes and the forehead will often develop fine lines and deep wrinkles called "expression lines”. A frequent concern is that these fine lines and deep wrinkles often make you look older, tired, and stressed. By utilizing the FDA approved muscle-relaxing agent, BOTOX®, expression lines can be significantly reduced. The botulin injections cause the injected muscles to "relax" so that they no longer contract and cause these fine lines and deep wrinkles to form. BOTOX® also blocks nerve impulses from the nerve to the tiny facial muscles that are directly related to expression lines. After treatment, the skin overlying the treated area becomes smooth and wrinkle free. The muscles that went untreated will contract as usual and leave normal facial expressions unaffected. Typically, the effect of BOTOX® becomes visible within 3-5 days. Maximum benefits are reached between 10 to 14 days. Once the muscle becomes dormant and the skin softens, you will have a more relaxed and youthful appearance, erasing those fine lines, deep wrinkles and expression lines. 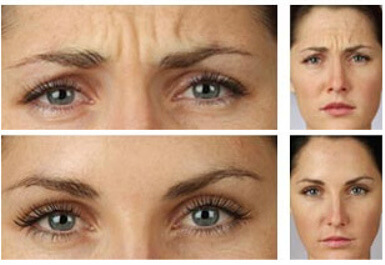 The effects of BOTOX® usually last 3 to 4 months, and fade away gradually. Following several treatments of BOTOX® the results may last up to 4-6 months or longer on some people. BOTOX® is FDA approved, has been used as a safe, successful treatment by thousands and thousands of patients worldwide to treat ophthalmological and neurological disorders for over 15 years. Blepharospasm (uncontrolled eye blinking) and strabismus (lazy eye) have been effectively treated with BOTOX® since 1980. 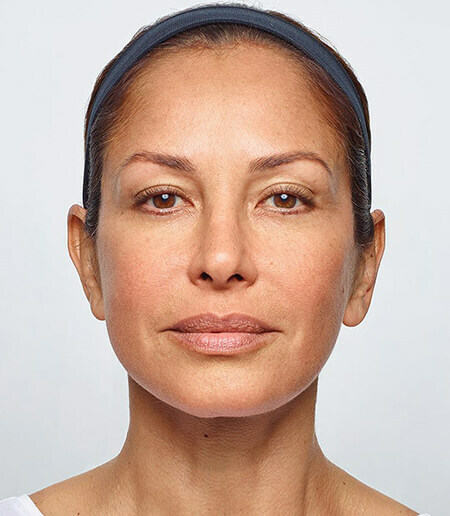 BOTOX® has been safely used to treat hyperfunctional facial lines since 1989. Anyone who has any autoimmune diseases, immune therapy, or allergies to eggs should not have BOTOX®. What Happens Before BOTOX® Treatment? Before BOTOX® the patient should consider stopping all medications, vitamins and herbal remedies that thins the blood. Stopping these medications will help to eliminate any bruising which may occur at the injection sites. What Happens Post-Care for BOTOX® Treatment? After your BOTOX® treatment, the patient should stay upright and refrain from massaging the treated area for four hours. For the first 24 hours, the patient should be careful not to apply pressure to the area and be particularly careful while sleeping. BOTOX® and Dysport® are both Botulinum Toxin A's but are made by different companies. Botox has been available for over 15 years in the USA, but Dysport® was FDA approved in 2009 and has been found to be as effective and safe as Botox. Ageless Aesthetics MediSpa now offers this additional alternative, Dysport®. It has been used in Europe since 1991. It is a bit different to use from an injectors standpoint, but for the patients it is pretty much the same as Botox. The results and the cost are extremely comparable. As we age the first place we notice it is in the face. The first area of concern is usually the wrinkles in the forehead. There are non-surgical options for the reduction of wrinkles in the forehead and that area between the eyebrows, and the crows around the eyes. We have heard about BOTOX® Cosmetic, now there is an additional alternative known as Dysport®. #1 Injector of Botox, Dysport & Dermal Facial Fillers in the Ashland, KY; Portsmouth, OH; and Huntington, WV Tri-State Area. The botulin injections cause the injected muscles to "relax" so that they no longer contract and cause these fine lines and deep wrinkles to form. Dysport® also blocks nerve impulses from the nerve to the tiny facial muscles that are directly related to expression lines. After treatment, the skin overlying the treated area becomes smooth and wrinkle free. The muscles that went untreated will contract as usual and leave normal facial expressions unaffected. Typically, we have seen here at Ageless Aesthetics MediSpa a faster onset of the Dysport® effectiveness. The effect of Dysport® is usually visible within 1-3 days. Maximum benefits are reached between 8-10 days. Once the muscle becomes dormant and the skin softens, you will have a more relaxed and youthful, appearance erasing those fine lines, deep wrinkles and expression lines. The effects of Dysport® usually last 3 months, and fade away gradually. Following several treatments of Dysport® you may see the results lasting up to 4-6 months or longer on some people. Dysport® has been used as a safe, successful treatment by thousands and thousands of patients worldwide to treat ophthalmological and neurological disorders since 1991. 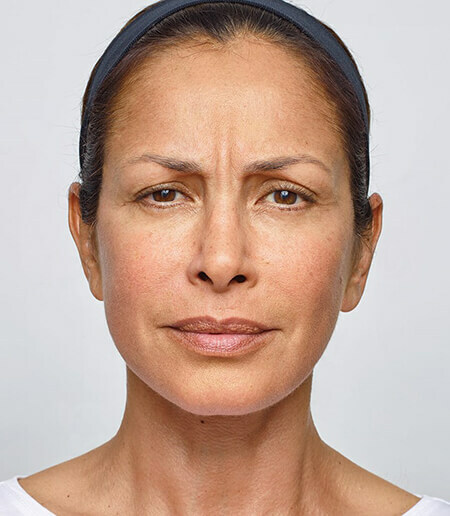 It has been FDA approved in the USA for temporary improvement in the appearance of moderate to severe glabellar lines (lines between the eye brows and forehead) in adults since 2009. Anyone who has any autoimmune diseases, immune therapy, or allergies to milk or milk products should not have Dysport®. What Happens Before Dysport® Treatment? Before Dysport® the patient should stop all medications that thins the blood. Stopping these medications will help to eliminate any bruising which may occur at the injection sites. What Happens Post-Care for Dysport®? After your Dysport® treatment, the patient should stay upright and refrain from massaging the treated area for four hours. No exercise for 24 hours, allowing product to become stable in the muscles it has been injected into. For the first 24 hours, the patient should be careful not to apply pressure to the area and be particularly careful while sleeping.